Facebook shuts down pages created by Hizbullah Al-Manar television, says it's because Hizbullah is a designated terror organization. Facebook pages created by the Hizbullah terror group’s Al-Manar television station have been removed from the site, the Lebanese Daily Star reported on Thursday. 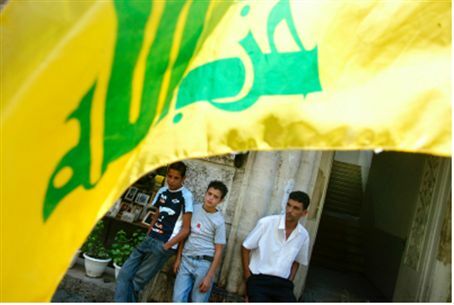 According to the report, the decision by the social networking website to halt activity connected with Hizbullah was made because the group appears on the State Department’s list of terror organizations. Wolens said this extended to Al-Manar, whose official page was not accessible Thursday. A Hizbullah community page was also down, although a spokesperson for the group told the Daily Star the group has never had an official page. Several weeks ago, Apple Inc. removed an application that Hizbullah was advertising on the iTunes store promoting streaming video from Al-Manar. Last week, the United States imposed a new round of penalties against Syria that included Hizbullah, due to its providing support to President Bashar al-Assad's government. The U.S. Treasury said that the Lebanese terror group, designated by the United States as a foreign terrorist organization in 1995, has been providing training and extensive logistical support to Syria's government. The Hizbullah leadership claimed this week that its missiles can now reach all of Israeli territory. Speaking at a ceremony in southern Lebanon, Nabil Ka'uk announced from the podium that “Hizbullah rockets can reach all Israeli settlements,” referring to Israeli towns and cities.